The Palisade Factory is a well established business situated in Klerksoord, Akasia, Pretoria. The owner, Jan Pretorius has 36 years experience in the steel business. 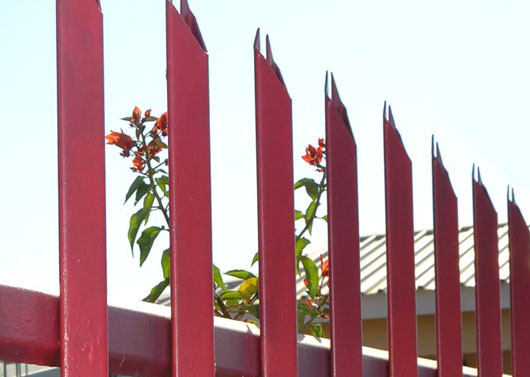 The Palisade Factory manufactures palisade fencing to customer requirements ie swallow tail, 6 spike and 7 spike. The Palisade Factory also supplies palisade fence panels as well as a DIY kit. The Palisade Factory will also deliver and install palisade fencing for your convenience. We at The Palisade Factory always offer a professional service to all our clients and strive for excellent customer service. I would be lost without The Palisade Factory. The Palisade Factory is worth much more than I paid. Your company is truly upstanding and is behind its product 100%.